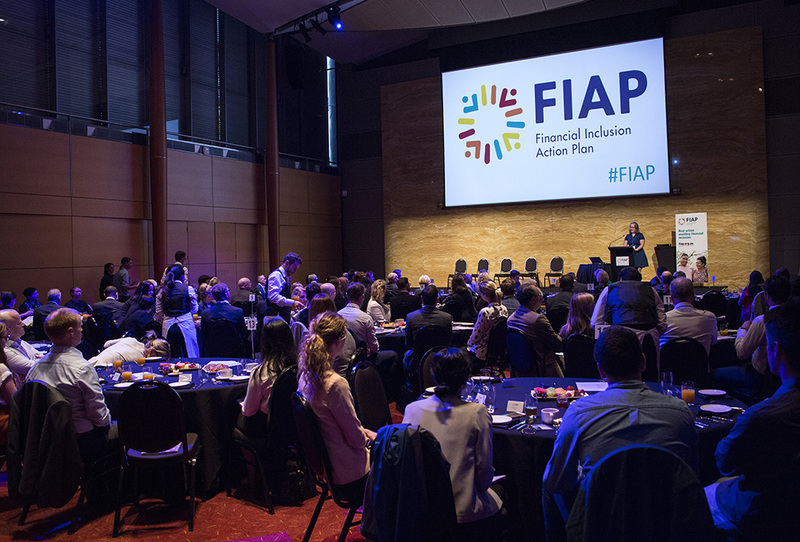 ICAN CEO, Aaron Davis, was honored to attend the Financial Inclusion Action Plan (FIAP) Executive Breakfast Event, held in Sydney on 21 March, where ICAN was officially welcomed into the FIAP program as one of 30 ‘trailblazer’ organisations committed to tackling financial exclusion. The Financial Inclusion Action Plan (FIAP) is led by Good Shepherd Microfinance on behalf of the Australian Government, in partnership with Ernst & Young and the Centre for Social Impact. 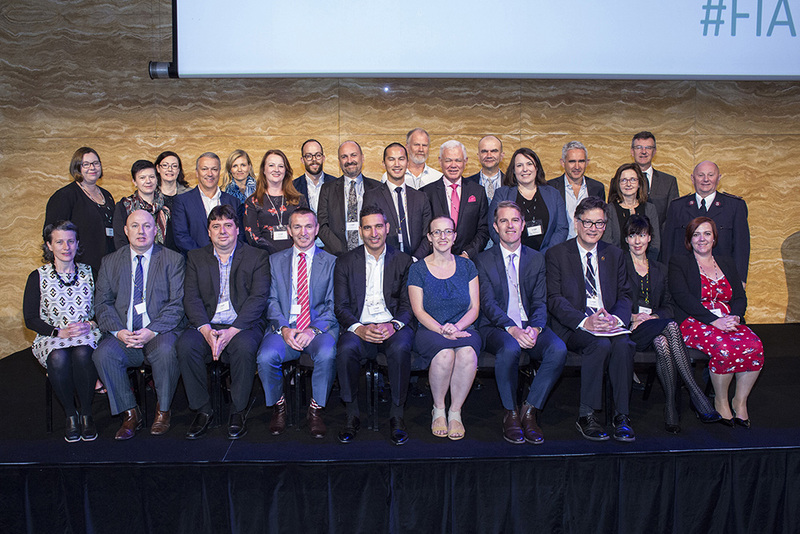 As part of this program, ICAN along with 29 other organisations across business, government, academia & the community sector have come together to identify and take practical actions to promote financial inclusion and resilience in Australia. More than 3.3 million people in Australia are severely or completely financially excluded, meaning they have limited access to mainstream financial institutions and their banking and insurance products (Financial Resilience in Australia 2016, CSI for NAB). Comparatively, although Aboriginal and Torres Strait Islander peoples comprise only 3.3% of the Australian population, Indigenous people experience either severe or full financial exclusion, where their combined exclusion is over represented at 43.1%*. Being financially excluded puts people at greater risk of poor social, economic and health outcomes. 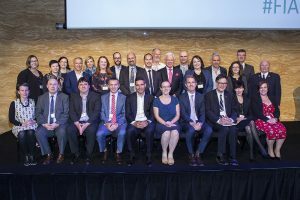 The measures in Financial Inclusion Action Plans are designed to deliver tangible, measureable outcomes that will make a significant difference to financial exclusion in Australia. “ICAN joined the FIAP program because we believe in the power of community and working across sectors to address the financial exclusion faced by Indigenous consumers” said Mr Davis. “Our belief comes from experience, most notably working with other trailblazers and the Indigenous community to address financial exclusion, such as access to banking services and the under representation of Indigenous financial counsellors nationally”. Adam Mooney, CEO of Good Shepherd Microfinance explained, “the organisations that have signed up to the FIAP program see corporate social responsibility as more than just a box that has to be ticked. They believe they have a role to play in creating a fairer, more connected community – one where everyone benefits from inclusive economic growth”. “ICAN is passionate about finding ethical solutions for overcoming Indigenous consumer disadvantage. We are pleased to be a part of a FIAP working group that is developing a product that aims to meet the needs of Indigenous people” Mr Davis said. *Connolly, C. (2014). Measuring financial exclusion in Australia [Research Report No. 4]. Retrieved from: https://www.nab.com.au/content/dam/nabrwd/About-Us/corporate-responsibilty/docs/measuring_financial_exclusion_in_australia_2014_final.pdf.Connolly, C., Hems, L., & Georgouras, M. (2012). Measuring financial exclusion in Australia [Research Report No. 2]. Retrieved from: https://www.nab.com.au/content/dam/nabrwd/About-Us/corporate-responsibilty/docs/nab_fin_exclusion_report_final_2012_web-2_1.pdf.